Recently I had an email. It read, "So I just finished my first year of coaching. Now what?!" I totally get that. You've made a tough transition from the classroom to the coaching room, and you are slowly becoming more comfortable in that role. You've worked hard, developed relationships with teachers, and got some great initiatives started at your school. But now what do you do to continue to grow? The first step to growth is reflection. If you sit back after a year of hard work and say, "Wow. That was awesome. I can't imagine how that could've gone any better," you're not setting yourself up for personal growth. So here are six questions you can think about that will help you reflect and take action for next year! 3. In what part of my work did I feel uncomfortable? 4. Where are students showing instructional gaps at the campus level? grade level? teacher level? 5. What are my teachers' needs? 6. What are teachers excited about? 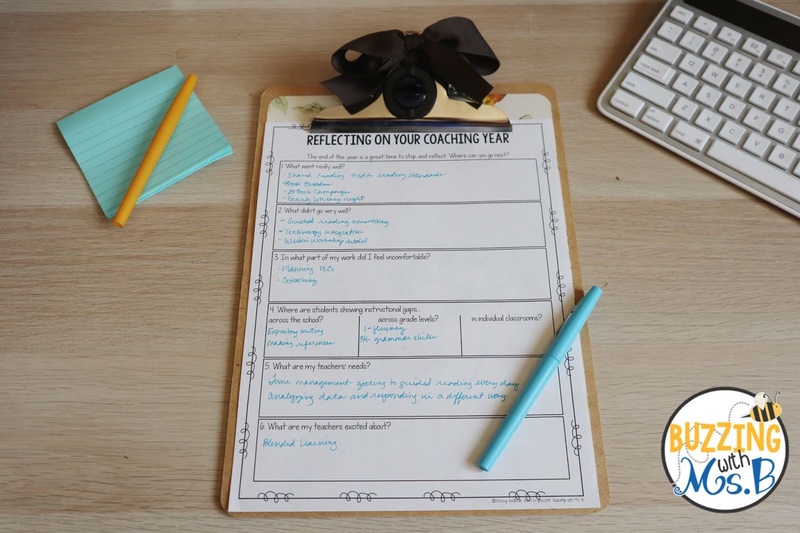 Grab these questions on a recording sheet here so you can stop and reflect! Once you've answered these questions, it's time to think about next steps. Read over your answers and think about how you can turn them into action. Notice that you were uncomfortable co-teaching? Read a book about it! Read a blog post about it! Create or buy a tool to help you prepare for it! 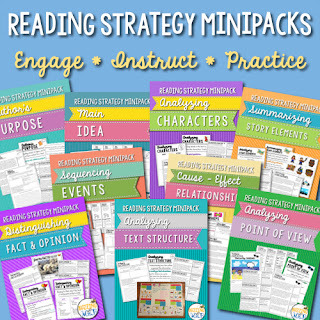 Are your students struggling with writing responses about their reading? Prepare a PD about it! 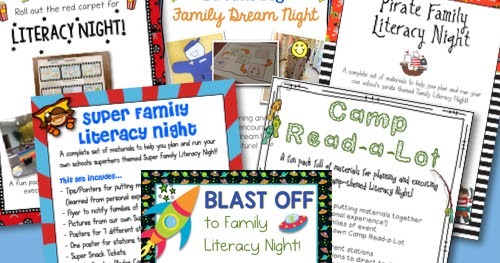 Create or find some resources to help them roll it out in their classrooms! Offer a book study! Teachers excited about flexible seating? Build a Pinterest board to help them find resources and ideas easier! 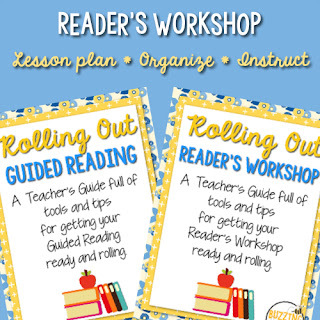 Email some teachers and ask if you can participate in rolling it out in their classrooms! Reflection is the start, but action is the goal! 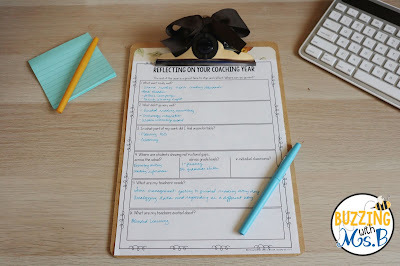 What are your plans for your next year of coaching? 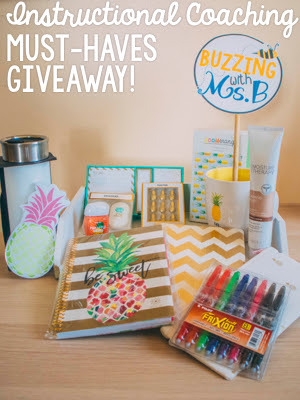 I am so excited to offer this giveaway again this summer! Coaches work hard. Which tools will help you do your job? Well, obviously tools with pineapples on them. Pineapples mean "welcome," so flaunt your pineapple gear and people will know you're approachable! 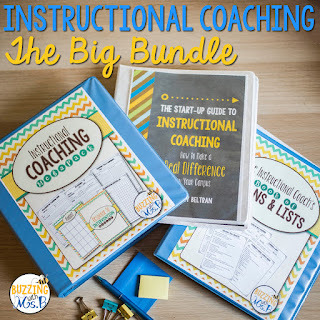 * The Instructional Coaching Resource Bundle! This bundle includes the Coaching Binder Megapack, The Coach's Book of Plans & Lists, and the Start-Up Guide to Instructional Coaching! 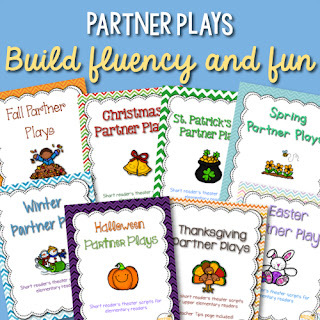 Four more lucky winners will get the Instructional Coaching Resource Bundle, over $50 worth of coaching resources! Enter using as many of the options below as you like! 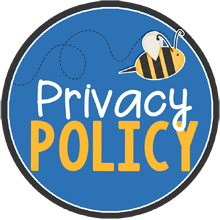 You can enter again with every blog post in the series. You can sign up for my all-new Start-Up Course for Instructional Coaches! 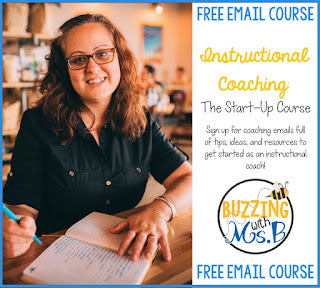 It's a free email course, right to your inbox, that will give you the essential steps for getting started as an instructional coach. 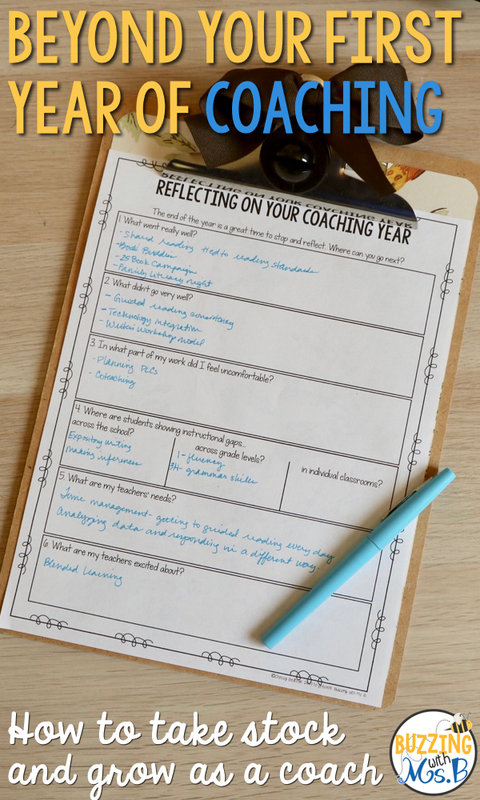 You'll get videos, links to posts, and even a free resource or two, and follow-up emails to help you along your coaching journey! Just enter your email address in the box below. You'll also be signing up to receive periodic emails about instructional coaching as part of my mailing list! Reflection is so key! I think I will use those questions quarterly, maybe monthly as this first year of coaching goes on for me. Thanks! So many fabulous ideas!! So glad I found you! Hoping to be able to reflect after my first year; might even be a good idea to do a bit of reflection on a weekly basis! 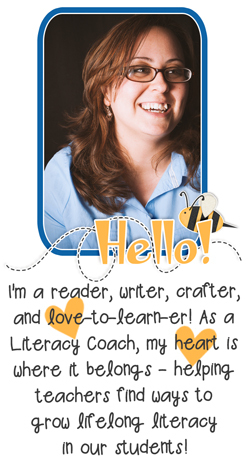 Do you have a professional development workshop or conference recommendation for a first year literacy coach? I mean, besides taking your wonderful workshop classes. As a 3rd year Reading Specialist/Literacy Coach for my district, I greatly appreciate this post. Reflection is useful tool for growth and I always want to be a better professional. Such great ideas! Happy I found your blog! I also want to ask What are teachers excited about?